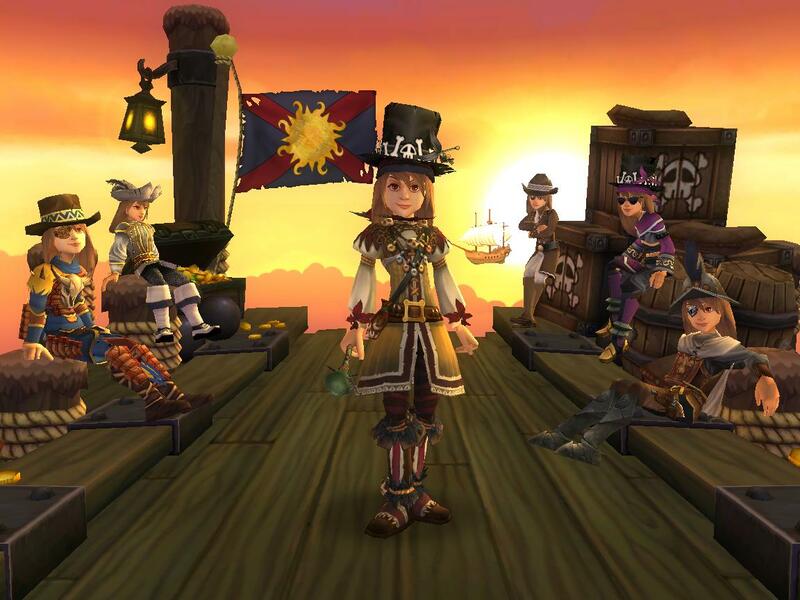 So here it is, a new post about my Pirate101 Challenge pirate, Merciless Jennifer. You can read about her adventures so far in this post here. Long story short: She failed her first challenge with permadeath companions. However, I did want to keep questing on her, so I decided to start over with a new challenge and let you guys vote on it. 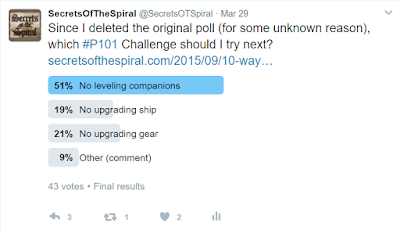 The most popular choice was no leveling companions. 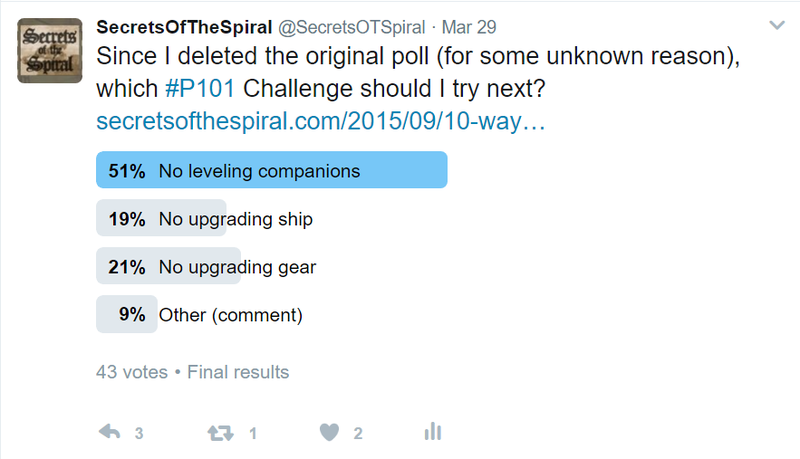 Since I had already leveled all my companions up to 5 or 6, I felt like it wouldn't be true to the challenge to continue with that character. Since I hadn't made it very far on her, I decided to delete that character and start over. I made a new witchdoctor with the same starting stats, flag, etc. 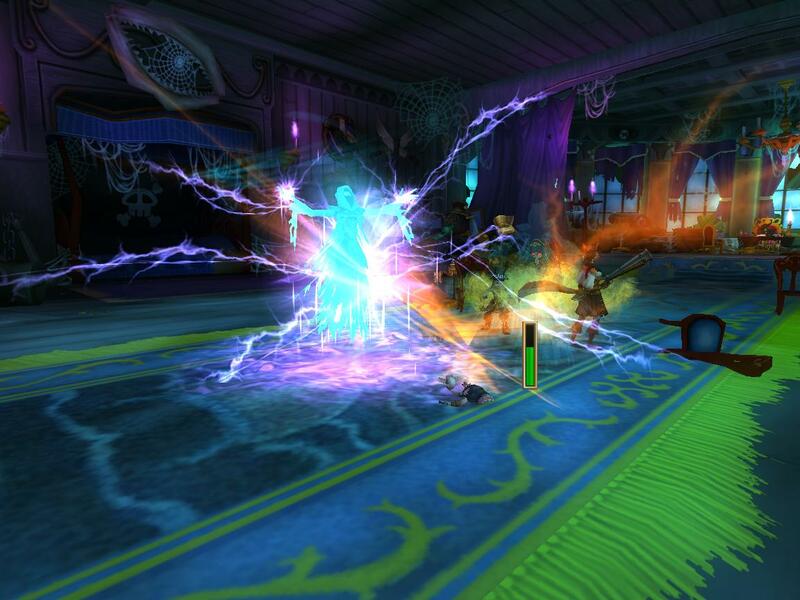 Then I started questing. I didn't take many pictures of the Fin Dorsal quests, since it would be a repeat. Plus, they were still pretty easy. 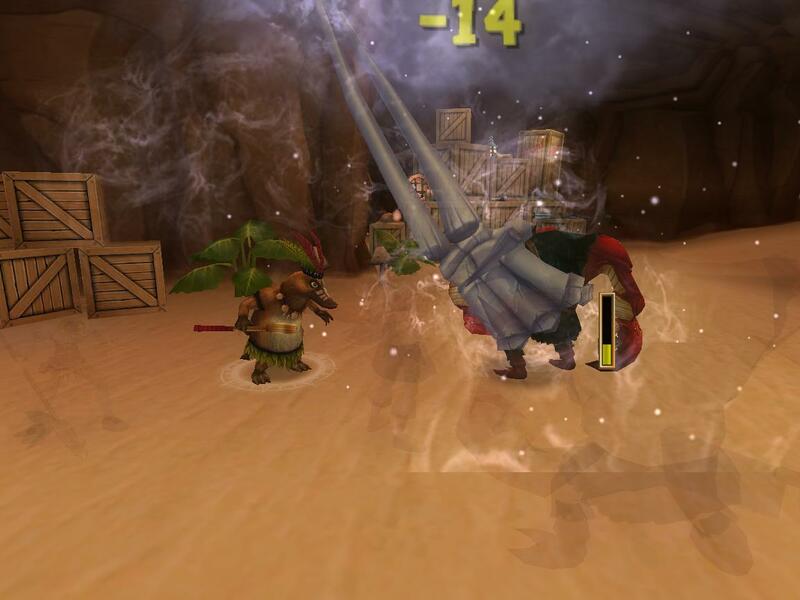 The biggest difference I am noticing now is that Kan Po (level 2) dies in pretty much every battle. 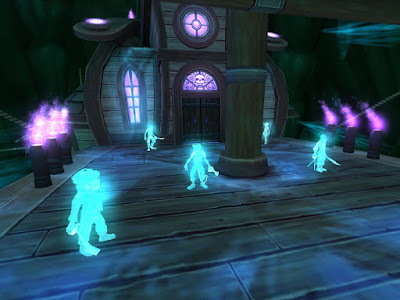 So that brings us to the search for Ratbeard and his crew members that he betrayed by poisoning. I again started with Moe's quest. He couldn't rest until we found the ring that he stole from his love Wilhelmina. I found it and returned it to her, but she needed me to find Captain Gordon, who she wanted to marry. That led me and my crew to Buster Crab. After I defeated Buster Crab, he still wasn't ready to let Captain Gordon go. Finally he struck a deal with me that if I found the Gold Hook, he would trade Captain Gordon for it. That brings us to where the first Merciless Jennifer met her demise, the Marie Celeste, a ghost ship. During my first challenge, I made it through 3 fights before my companions were all dead. This time......well I won't lie.......I had at least one companion die in each of the 5-6 battles. Usually it was Kan Po. 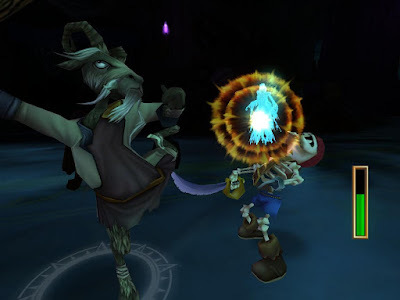 It still helps to use him though, because he usually lasts for 2 rounds, so he can deal some damage, as well as absorbing some of the damage me or my other companions would take. The other cool thing is that since he is such a low level, I can just wait a minute or 2 between fights for him to revive and then continue on. The last battle really gave me some trouble. 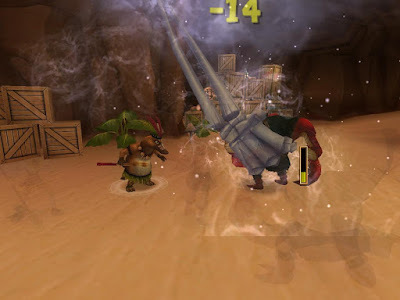 Me, Kan Po, and Mormo all died. Bonnie was just barely alive when the battle ended. It was tough, but we did make it through. We got the Gold Hook and traded it for Captain Gordon. Wilhelmina was happy she could get married and forgave Moe, so he is now at rest! One down, two more to go! Before I go, I would like to mention a few things I am doing different this time around. First, I am not recruiting side companions right away. 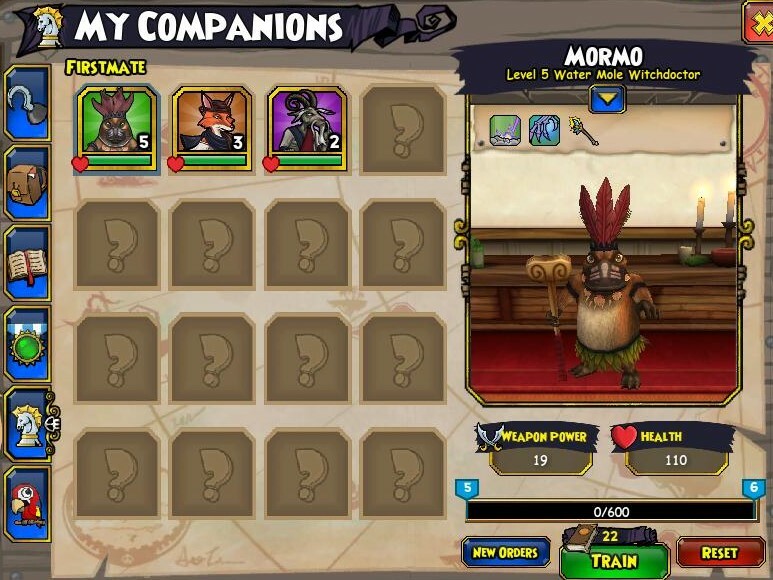 I am going to wait until I absolutely need a new, higher level companion to do those quests and recruit them. Second, I am doing all the side quests I can find as soon as I get them. This is helping to level me up quicker, so any companions I recruit will recruit at a higher level. 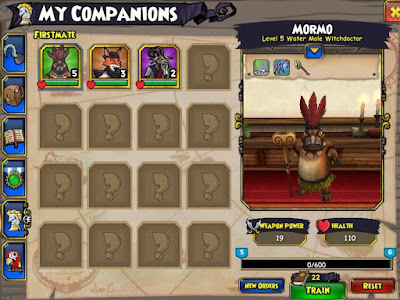 So right now, the only companions I have are: Kan Po (level 2), Bonnie Anne (level 3), and Mormo (level 5). I have not recruited Grimtooth yet, but I may need to soon. We'll see.